Fact: We live in a world where terrorists roam freely and create chaos every day. In the USA when you hear a conversation about terrorists, it's almost exclusively referring to olive-skinned Muslim men. You'd think we didn't have any other terrorists on our shores. Consider: Last year there were 300 mass shootings in the United States and less than 1 percent of them were committed by Muslims. Consider: Just one week before the December 2015 San Bernardino attacks, a white man named Robert Dear walked into a Planned Parenthood clinic in Colorado Springs (with a radical Christian ideology according to his ex-wife's testimony) and killed several people in an act of mass murder. 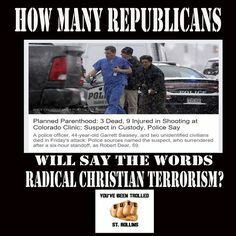 But that was never called Radical Christian Terrorism in our mainstream media. What about that 21-year old white supremacist named Dylann Roof who walked into an African-American Church and slaughtered nine innocent people? Wasn't that an act of terrorism? With this reference you can see that whites are more likely to be involved in mass killings in the United States than any other race. But we don't call them terrorists when they shoot up our schools and movie theatres. A terrorist is a terrorist. 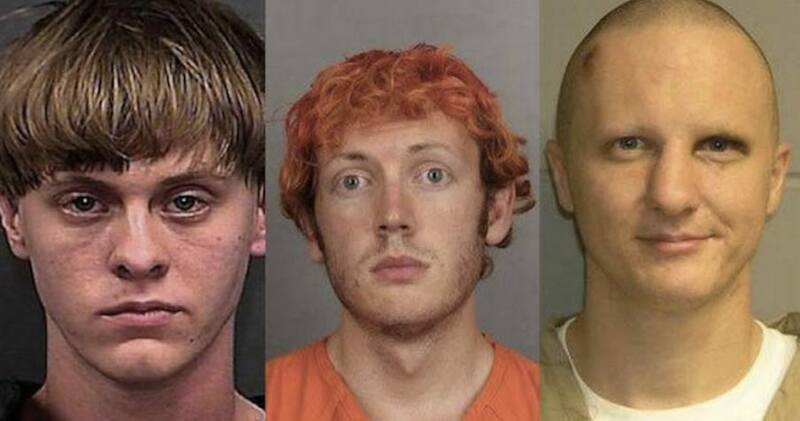 Domestic terrorism is a bigger problem in the USA today than Muslim terrorists are. Just look at the numbers given above in the article I referred too. If you go by the facts, there's no reason the mainstream media shouldn't start labeling everyone who committes a terrorist act...a terrorist. White, black, brown, or olive-skinned. It's time to change the narrative and get real. Oh yeah...one last thing; we have 33,000 active gangs in America. Wouldn't you say they also indulge in terrorism?